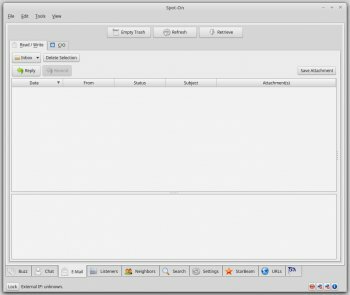 Spot-On is a communication application that includes an e-mail client, a messaging tool, IRC chat client, and a file sharing client. This exploratory research project investigating a variety of communication and cryptographic algorithms. The software is composed of two separate applications, a multi-threaded kernel and a user interface. The two components are written in C++ and require the Qt framework as well as as an assortment of libraries. Qt versions 4.8.x and Qt 5.x are supported. Qt version 4.7.x is loosely supported. The ARM architecture is also supported. E-Mail-Client based on Qt with also build-in Chat Messenger. That´s great. Further more communicational features: like IRC or p2p-URL-Search! Many features to secure your communication based on the given OpenSSL and OpenPGP standards (libgcrypt). 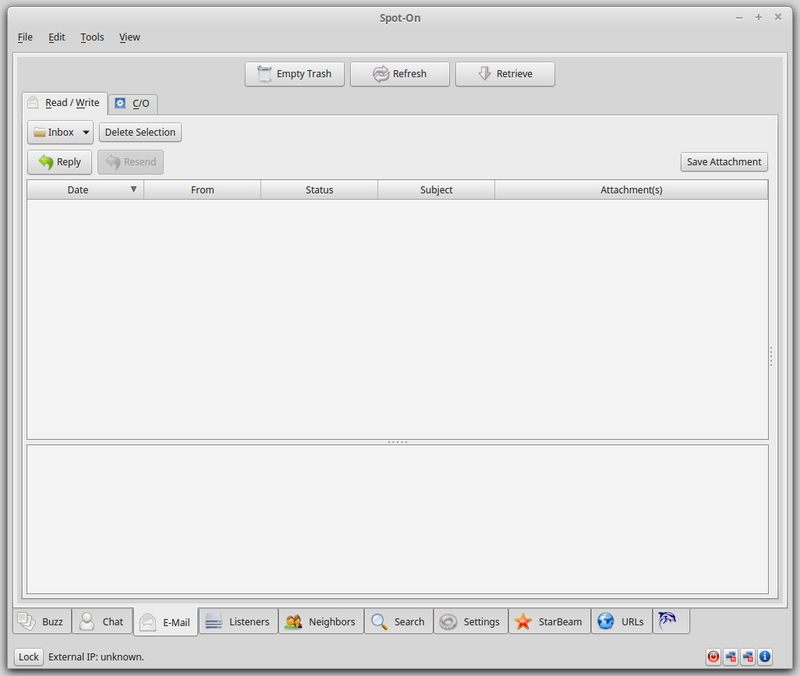 This is the application, which can be seen as the successor of the netscape communication suite.